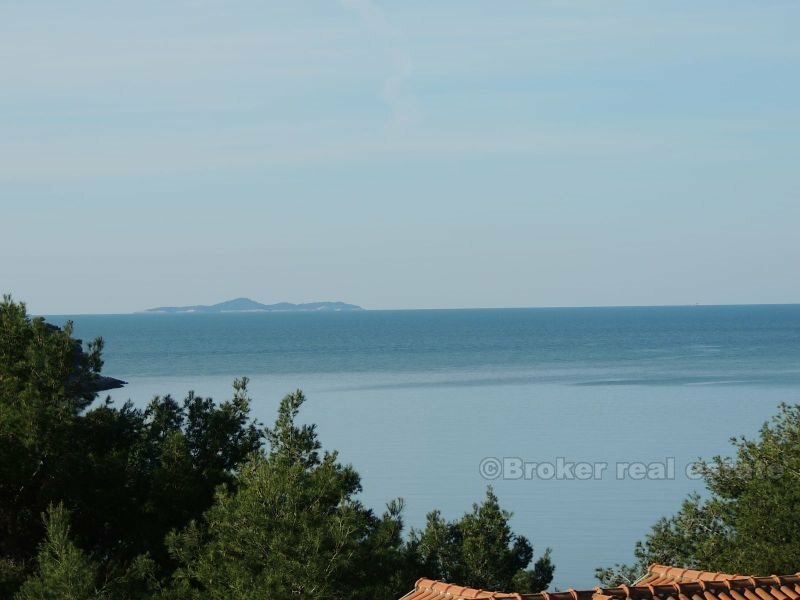 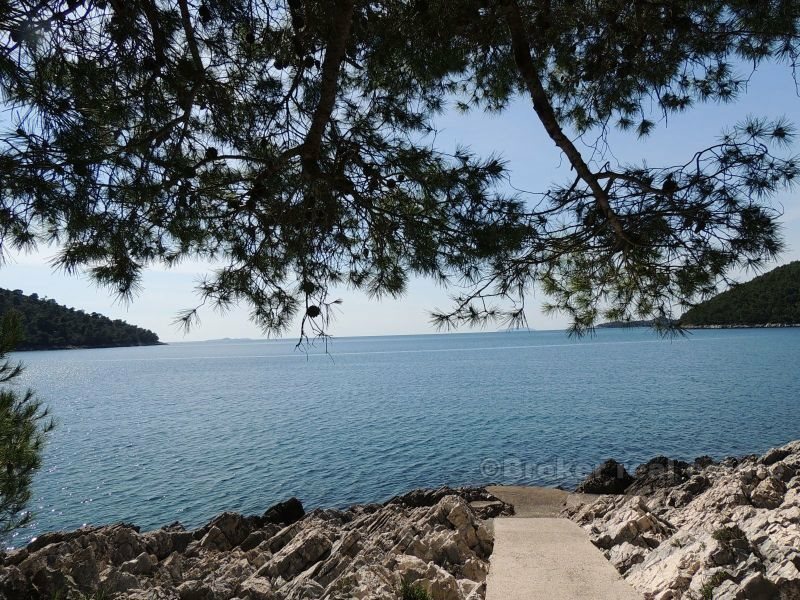 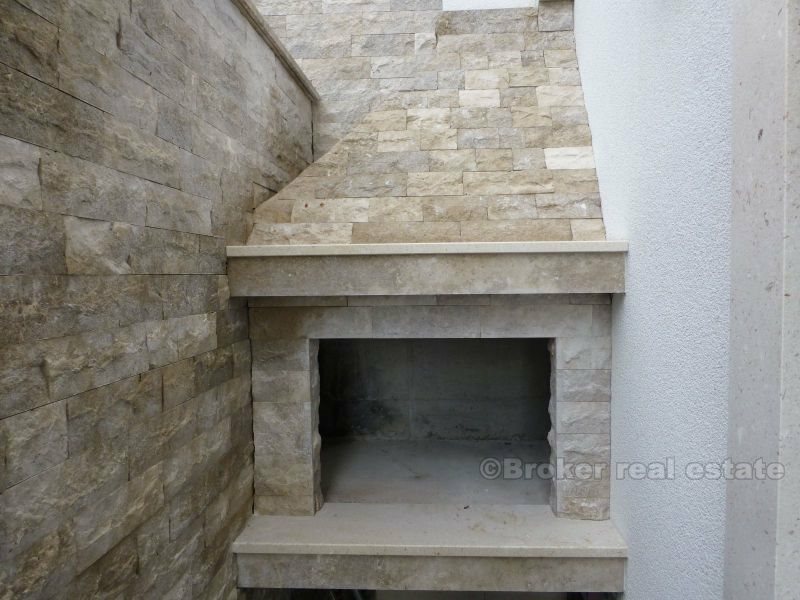 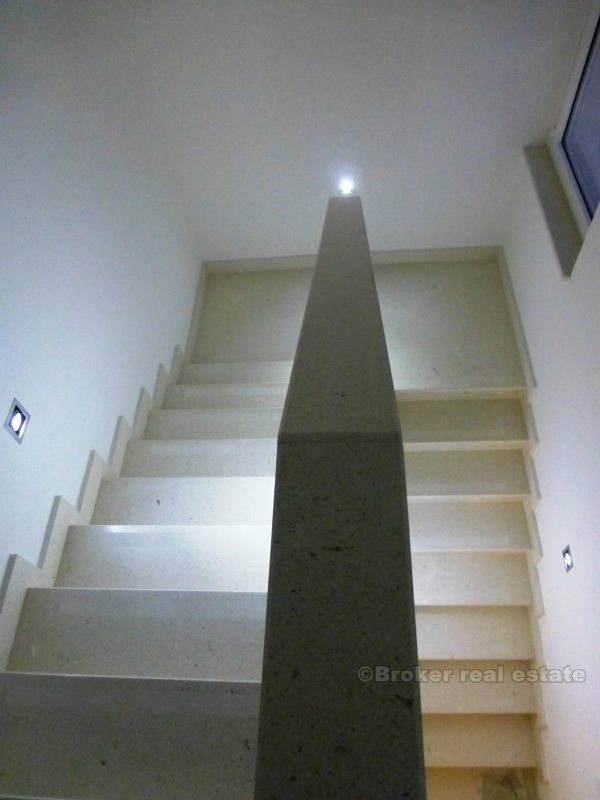 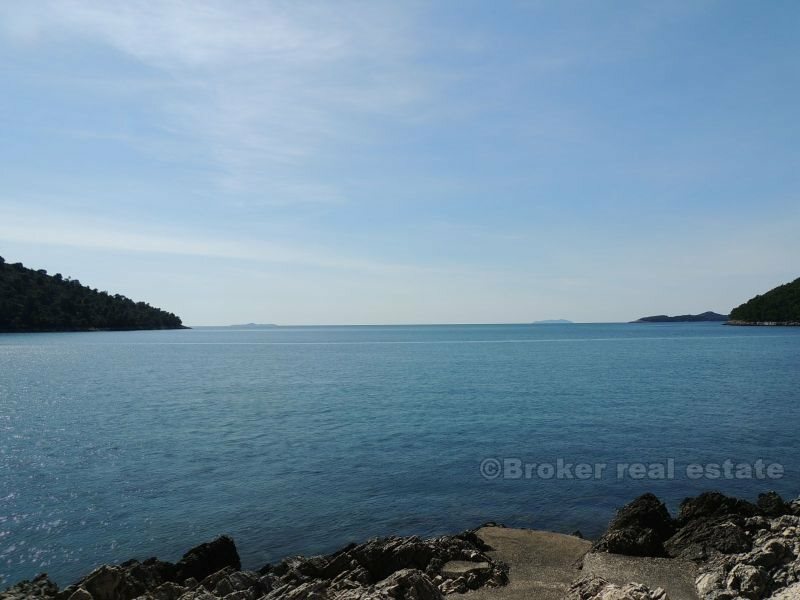 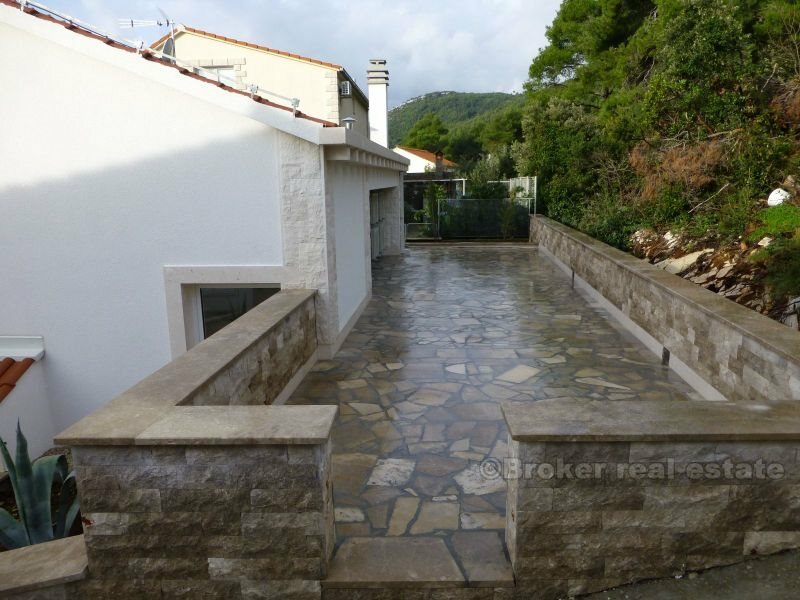 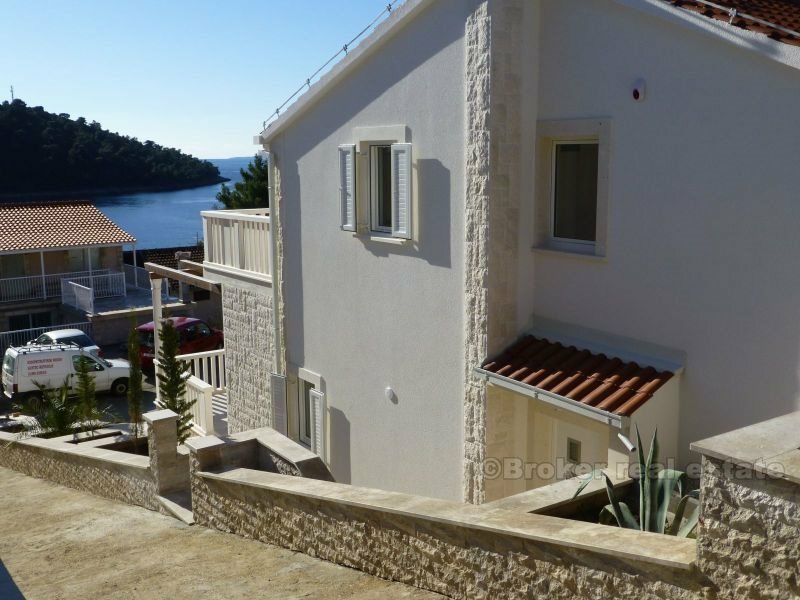 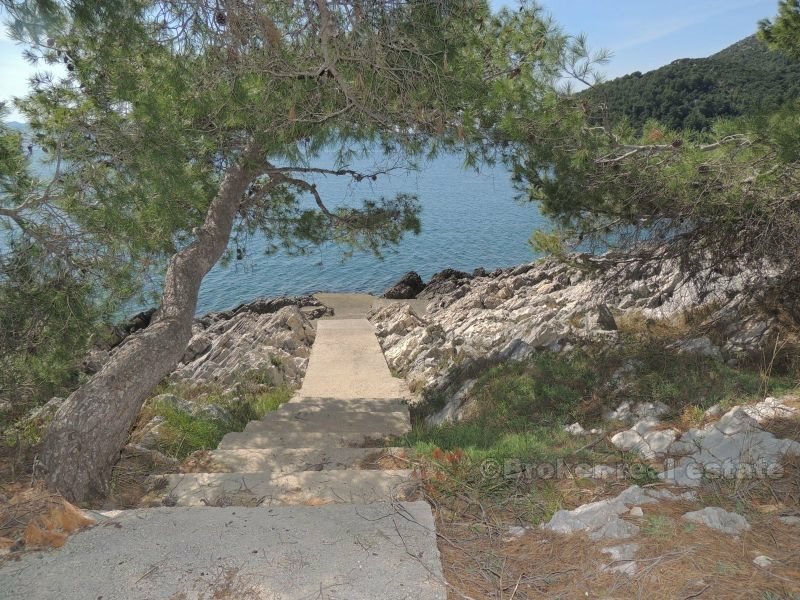 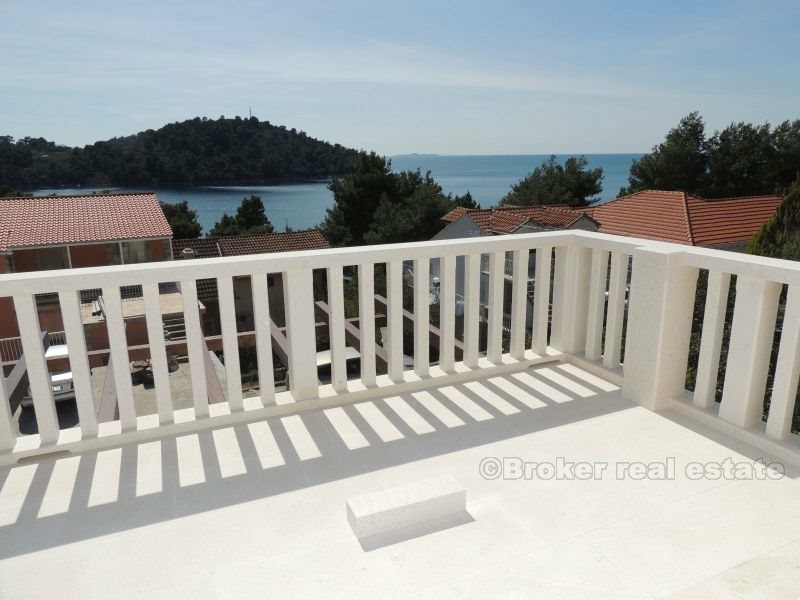 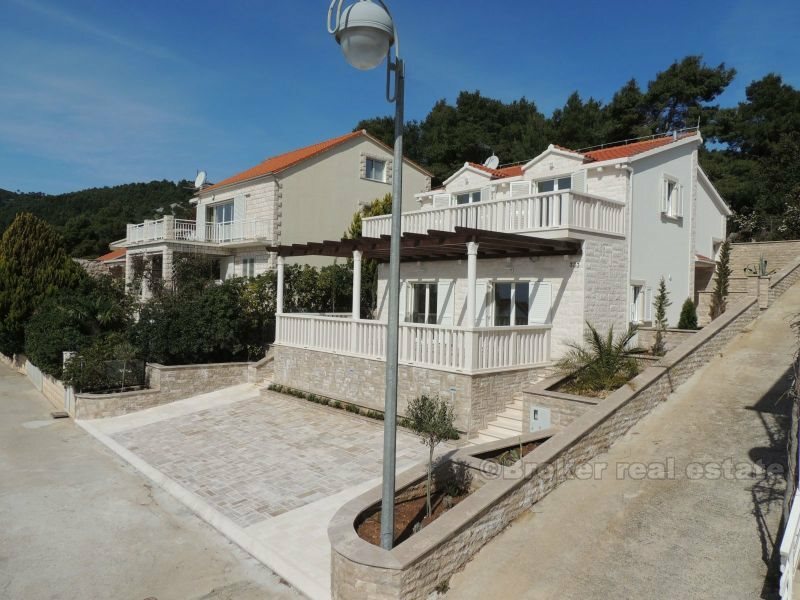 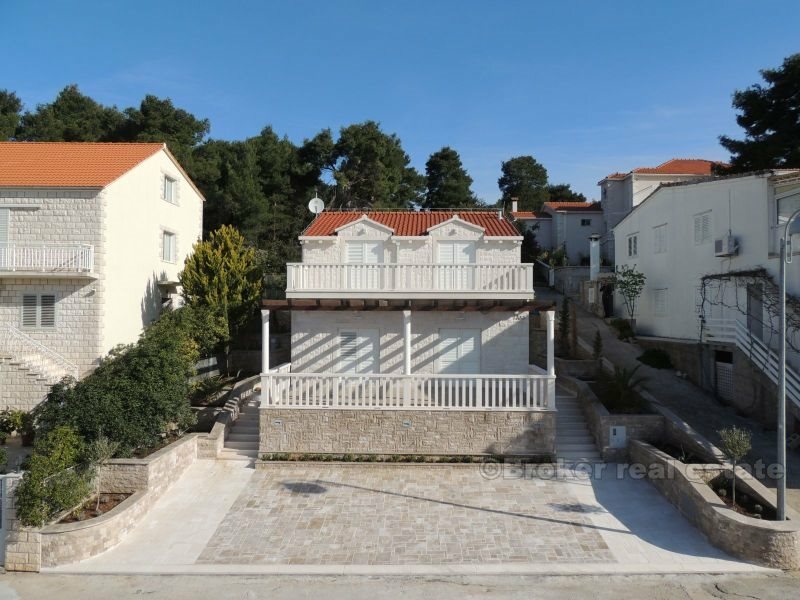 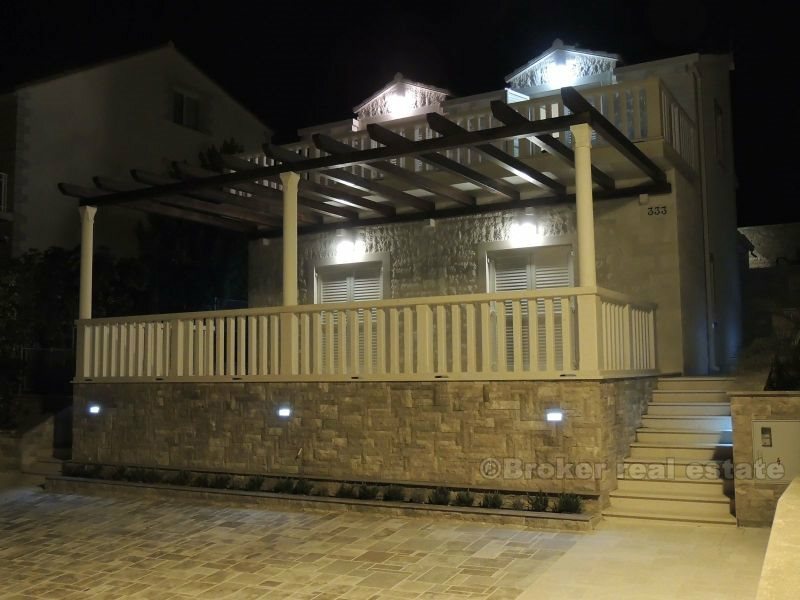 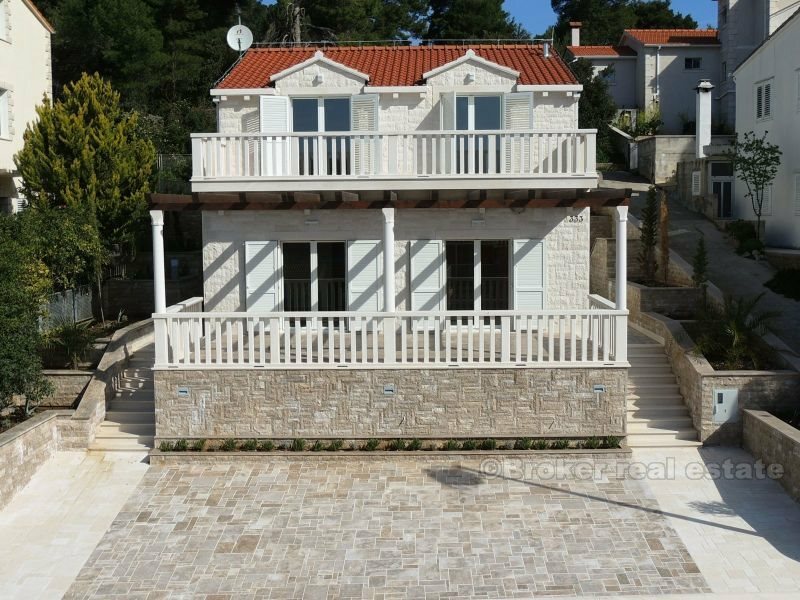 Detached house on the island of Korcula, high ground floor, living area of ​​225 m², with a plot of 350 m² and 5 parking spaces. 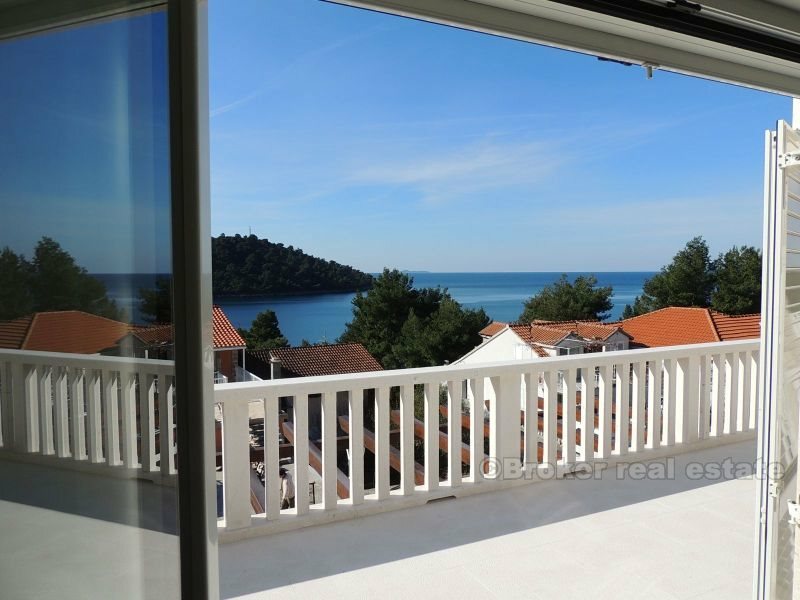 Oriented to the south, with a panoramic view of the bay, island Susac and the open sea. 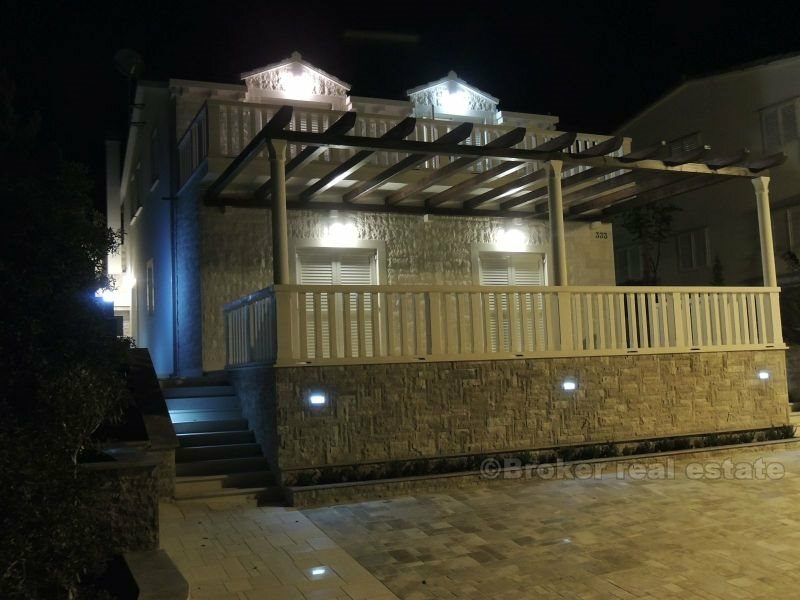 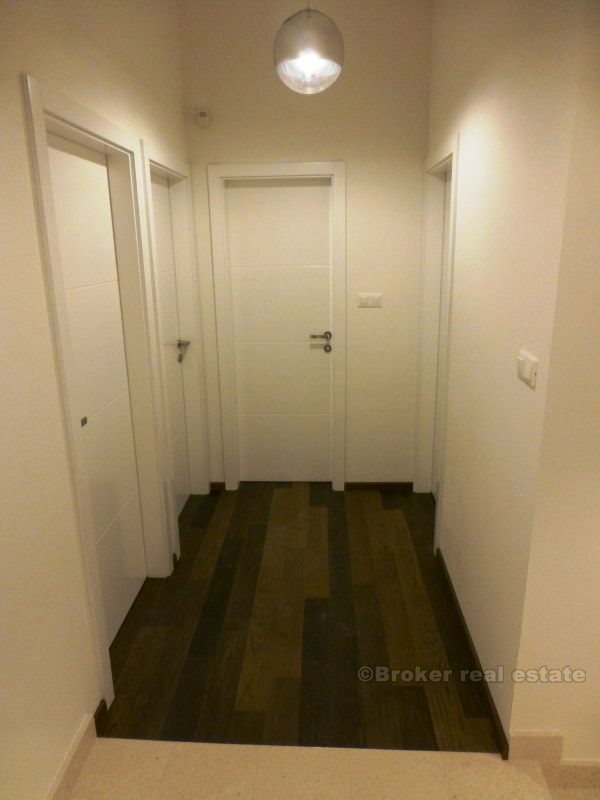 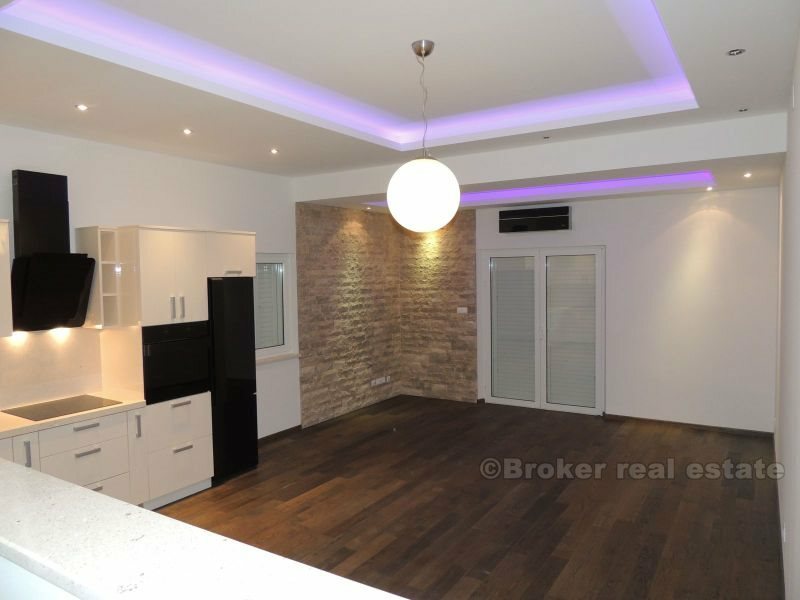 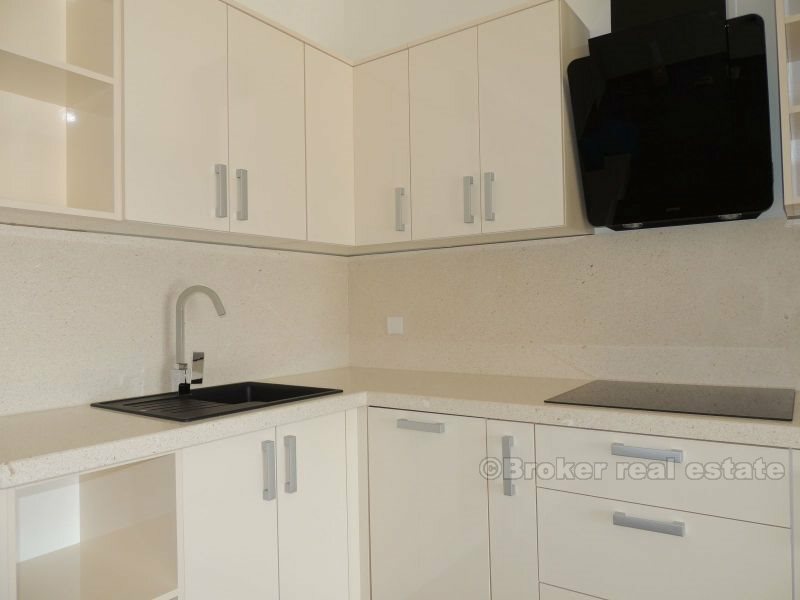 The facility consists of two floors, with two terraces (34 sqm ground floor, covered pergulom, floor 24 sq m), living room and dining room, 3 bedrooms (all have a terrace), 2 bathrooms, dressing room, hallway with stairs and two storage. 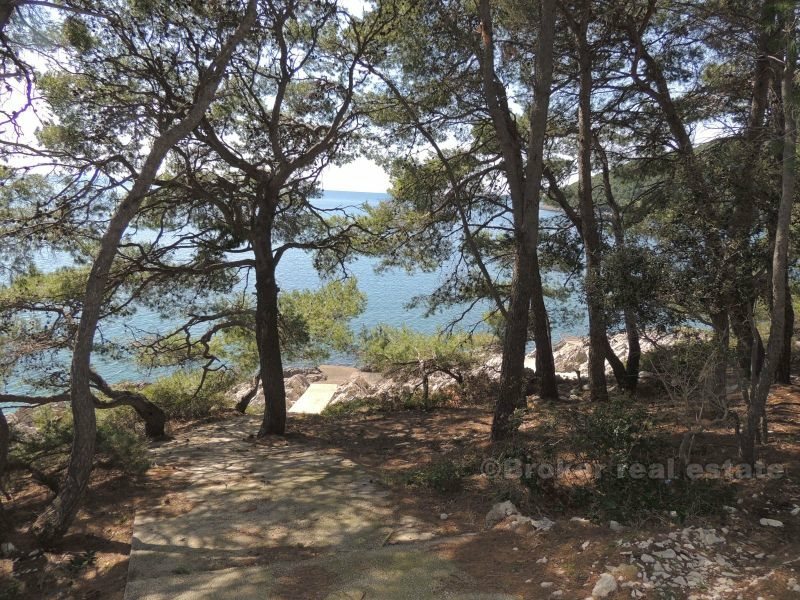 Land consists of a cascade of gardens on both sides, and the whole coated stone. 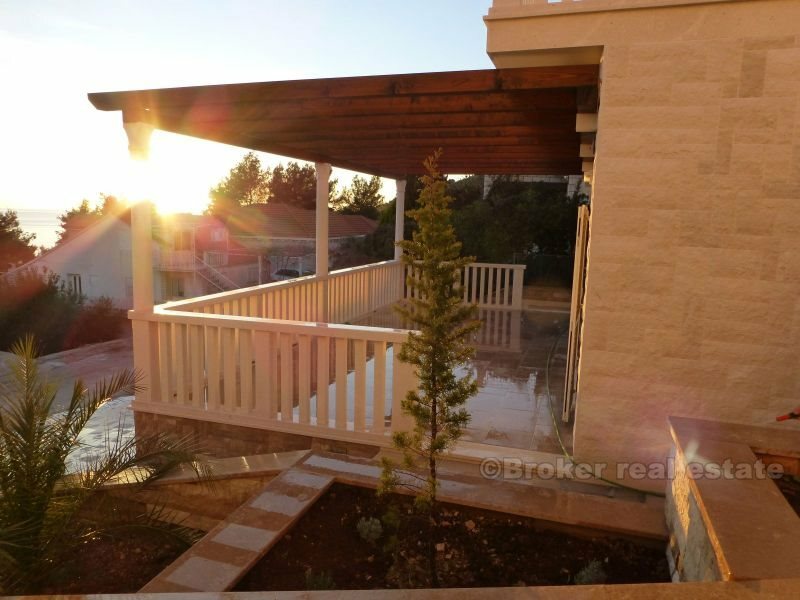 Behind the house is a spacious terrace that serves as a playground for children. 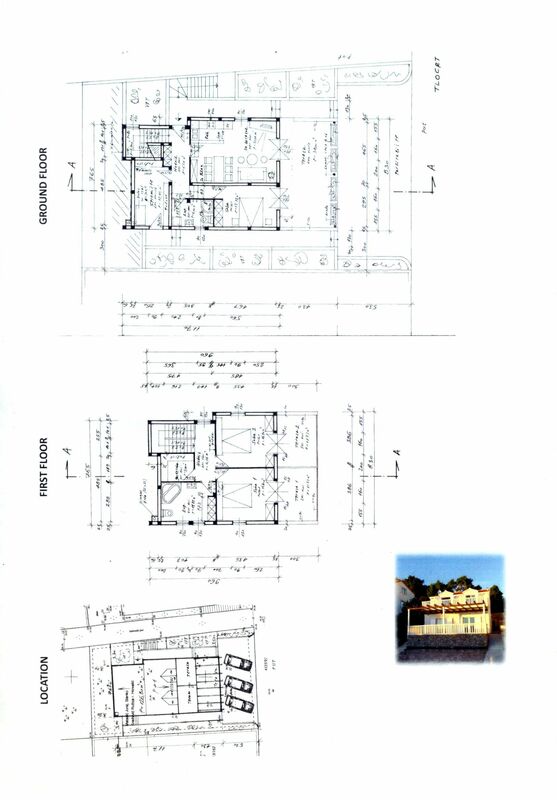 In the construction are used most advanced materials, with special emphasis on the quality of the performance. 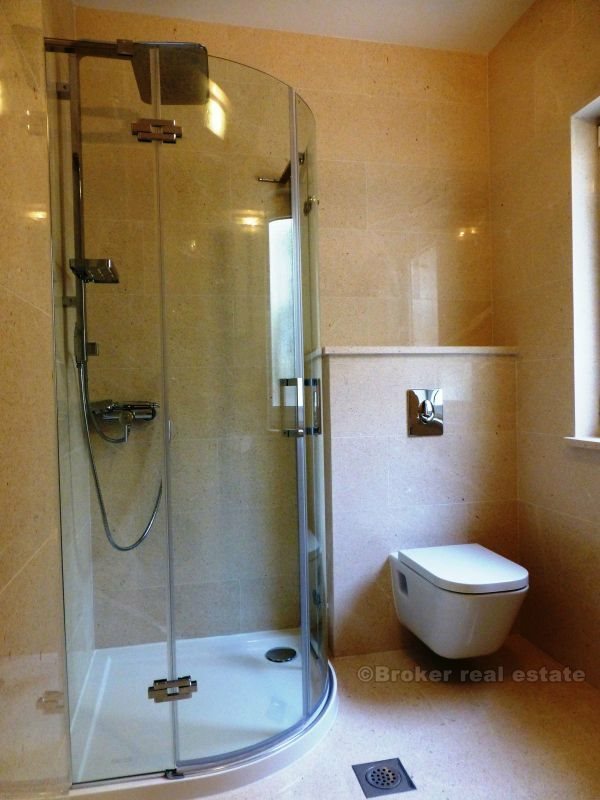 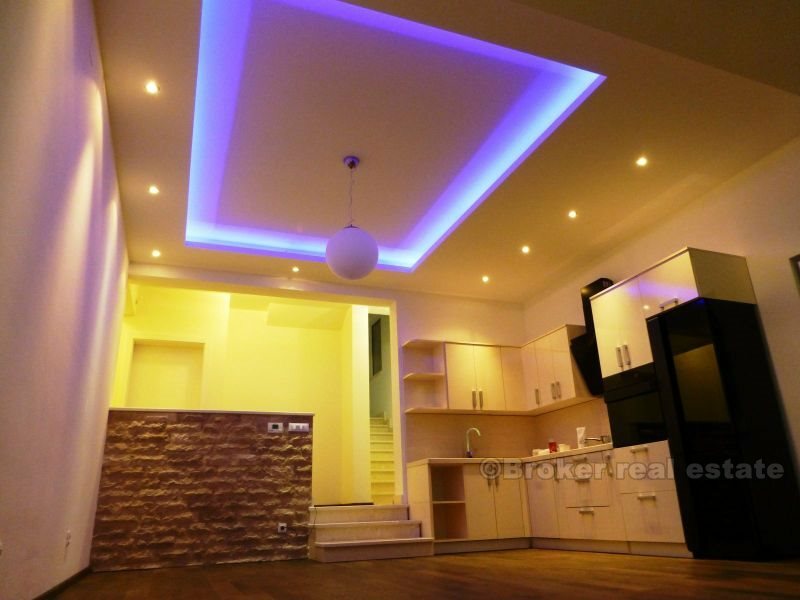 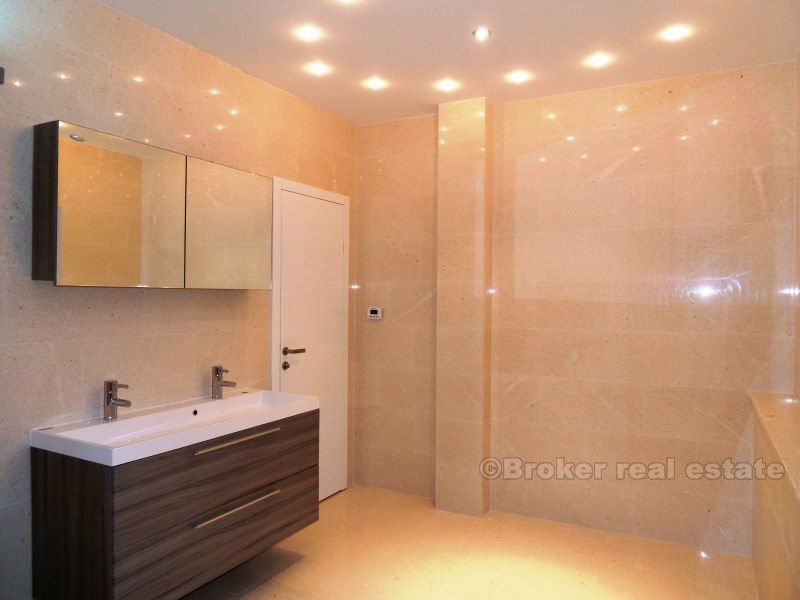 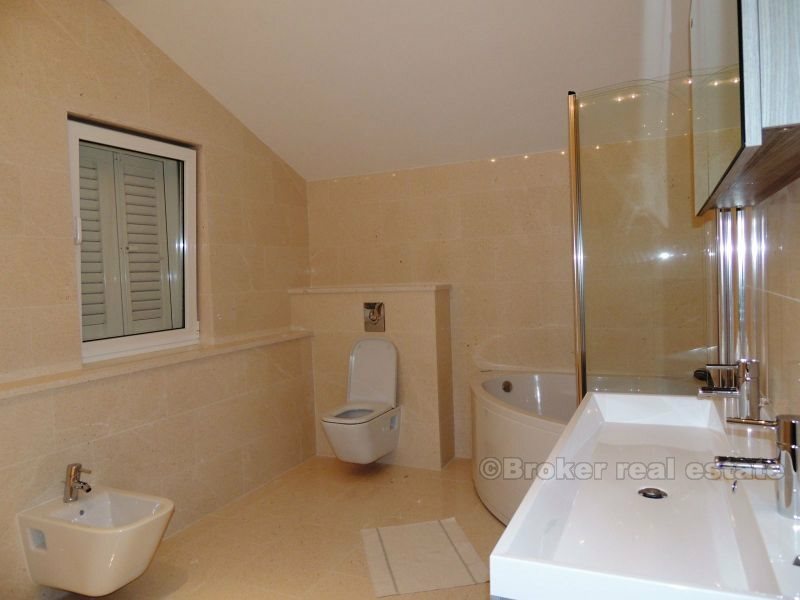 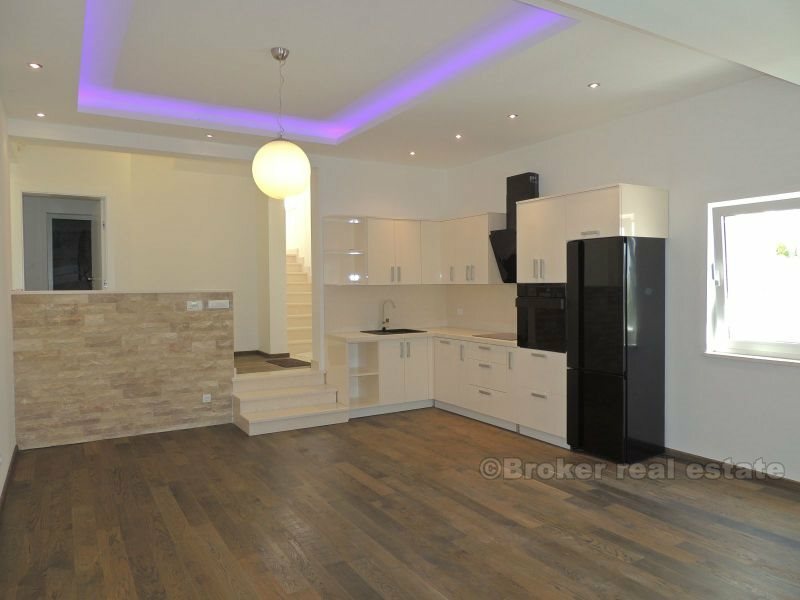 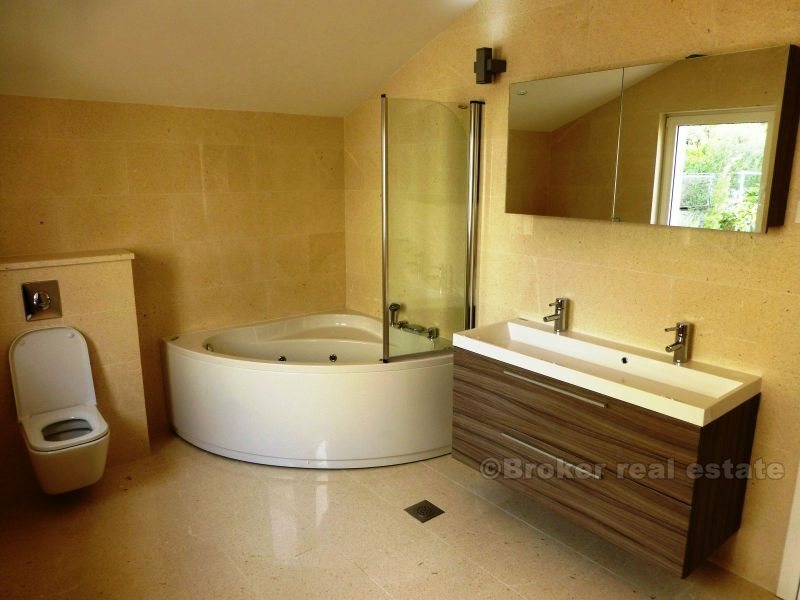 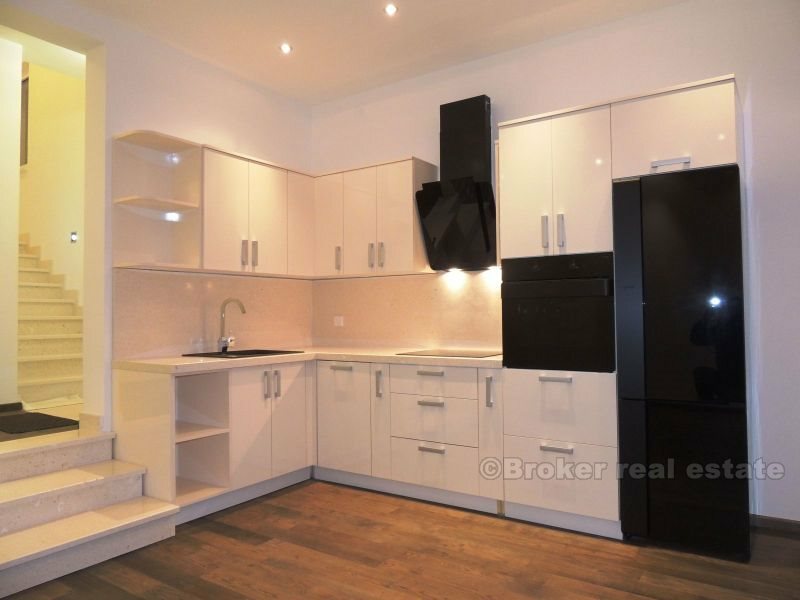 The whole property has underfloor heating with separate controls for each room separately. 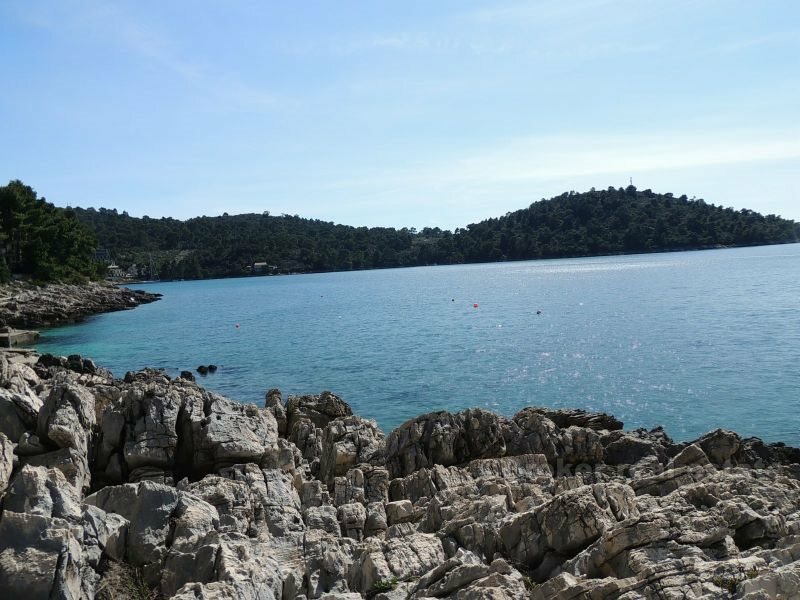 From technical supplements there is air conditioning in all rooms, SAT / TV, ISDN and ADSL and fitted top GSM alarm system with control via mobile phone. 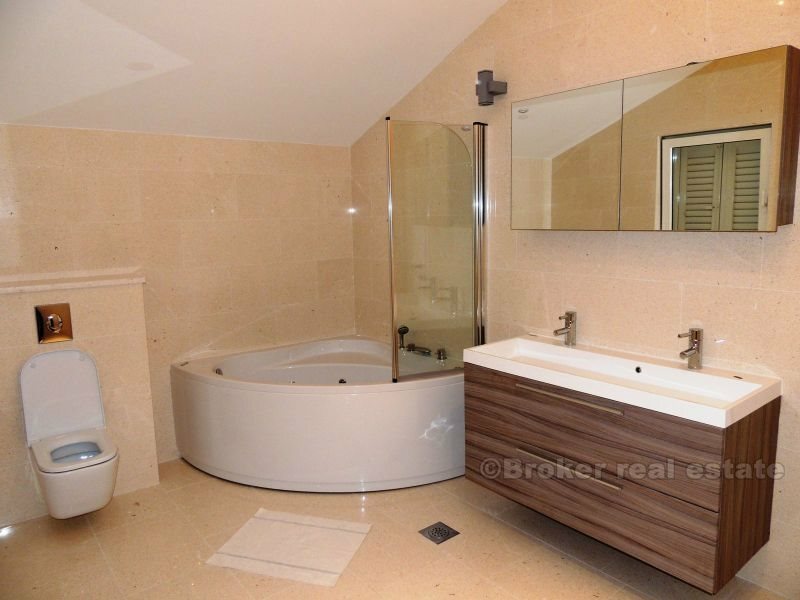 The store in the ground floor there is a water pump, hot water heater and electric furnaces for underfloor heating.